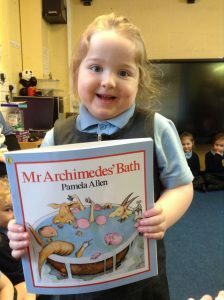 During ‘British Science Week’ Reception read Mr Archimedes’ Bath. 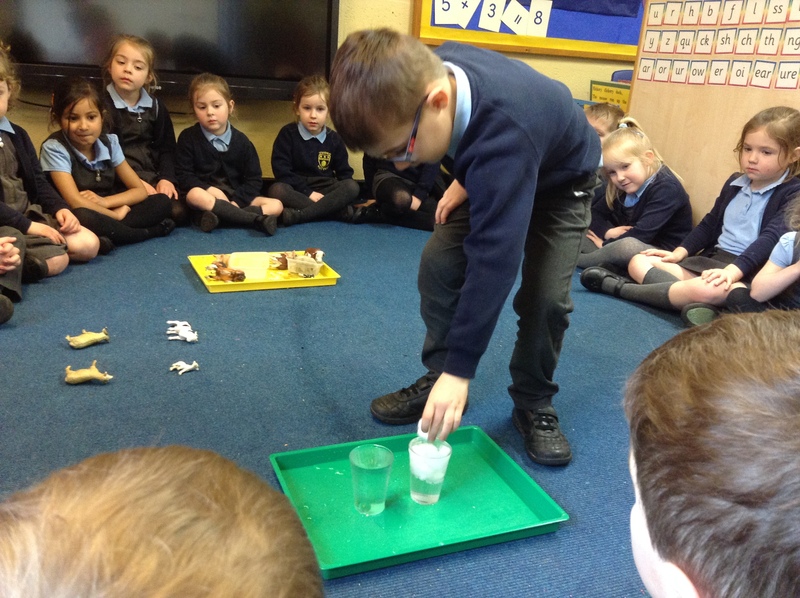 We all had lots of ideas as to why the level of the water went up and down. 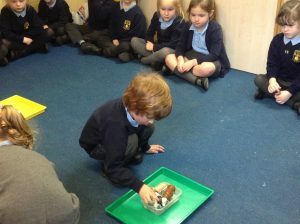 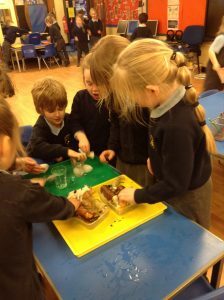 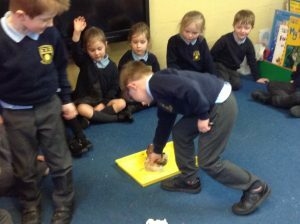 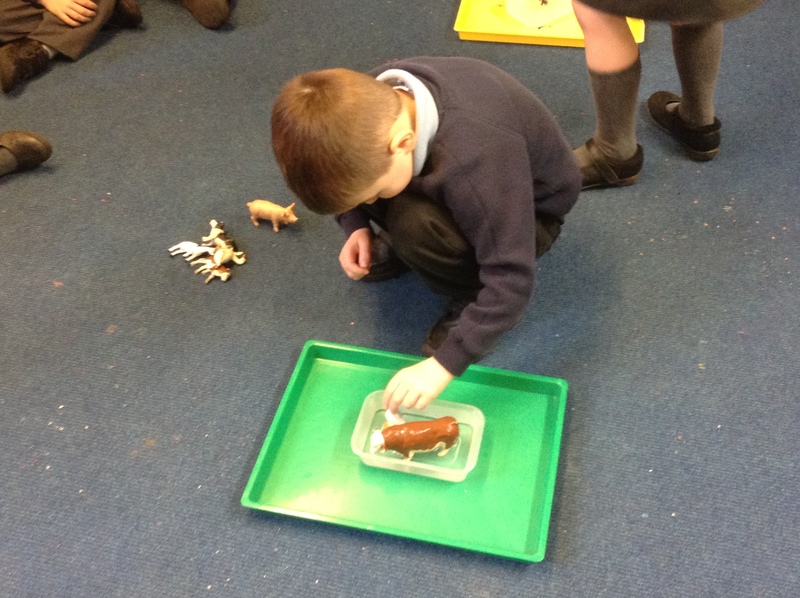 We had a go at adding animals to a bath to watch the water rise and overflow. We then had two cups of water and added marbles to one and cotton wool to another. We were amazed with what happened!